John Byrne presents Arlo Anderson, S1 Tarbert Academy Argyll & Bute with Runner Up award, NDC 2019. A Tarbert Academy S1 pupil’s graphite genius created a masterpiece in a national competition. Arlo Anderson joined one other Argyll and Bute artist in drawing top spots and were selected, from more than 7000 entrants, to win awards in the John Byrne National Drawing Competition. 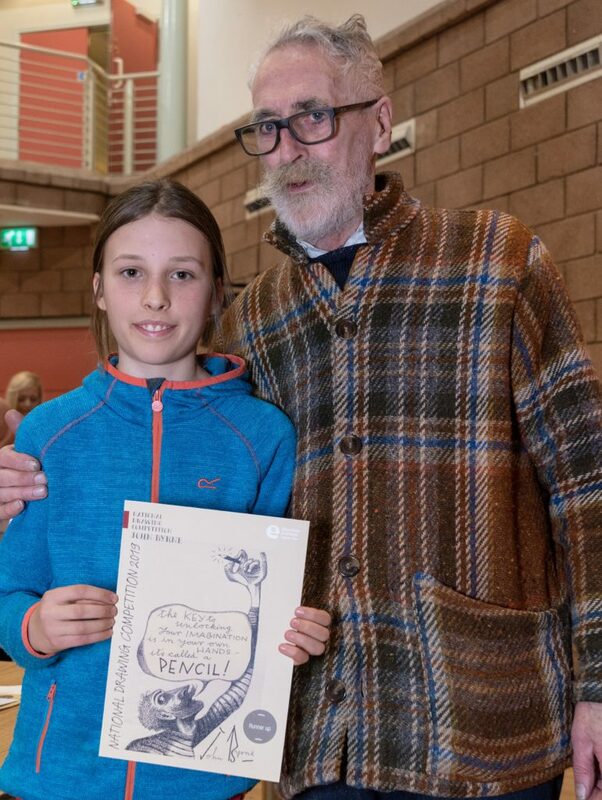 Arlo, and P5 Rosa MacLeod from Rhu were presented with their awards by renowned artist and playwright John Byrne at a ceremony in Paisley’s Tannahill Centre. A special exhibition of competition entries is on display at the centre until April 15. John Byrne said: ‘This year we judged more than 7000 entries and the level of talent and imagination was outstanding. Alan Armstrong, strategic director for Education Scotland said: ‘Art and design are important parts of the Scottish curriculum. 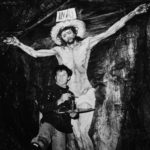 ‘For years, this competition has encouraged many thousands of children to use their artistic talents to create inspiring and unique drawings. Renfrewshire leisure chairperson, Councillor Lisa-Marie Hughes said: ‘John Byrne is one of Paisley’s famous sons and his paintings and plays are enjoyed by many generations.